Service Provider of Executive Search in Kolkata West Bengal - Pages Consultancy (P) Ltd.
We understand the industry needs in a better light and perform an executive search at Junior, Middle & Senior level positions. The executive search performed is based on understanding of the employment specifications, business culture and other critical attributes necessary for the specific designation. Pages Consultancy is dedicated for total HR solution and we engaged in works such as scrutiny of resumes from a large database, hunt for the candidates, performing preliminary interviews and share their profiles with the client organizations. 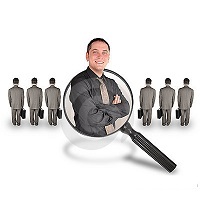 Referral checks and detailed commentary on the candidateâ��s profiles are also provided by us. We maintain a contact with the candidates till the time they take-up their duties with the organization.